Just so we fans at the back could hear her. Lost count of the number of times she said “thank you” in that 5 seconds, before she was ushered away. 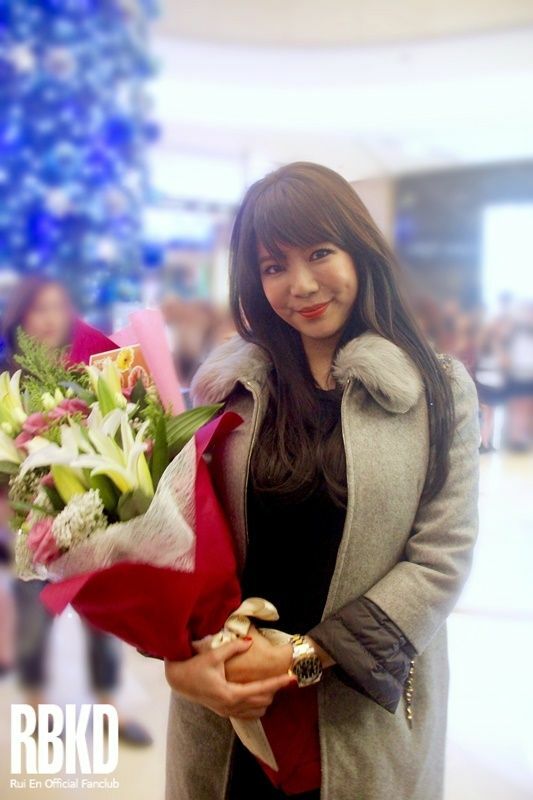 When Rui En says she’s happy to see us, she really means it. Twice, she walked over to our area specially just to take a photo with us. So this is what it looks like, when you have a dozen cameras and microphones in front of you. Categorised in Fashion, Moncler, RBKD What We Are Loving. 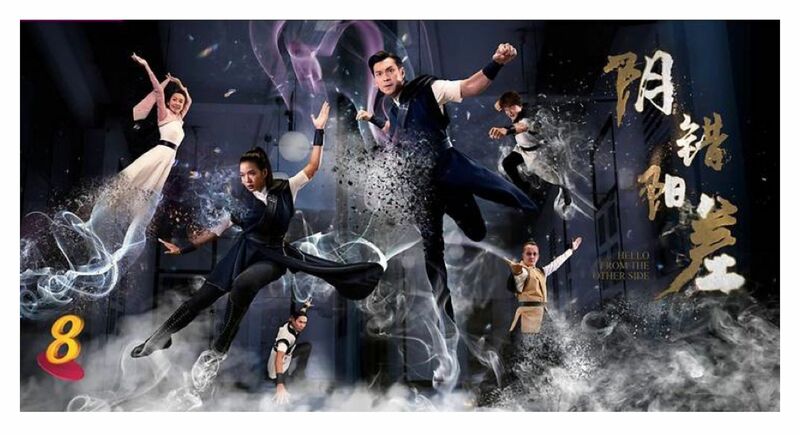 RBKD: The write-up only has the above one-liner mention of Rui En’s name, and a photo of her with Tao. Categorised in CH, Fashion, Moncler, Zaobao. Nü You: SPOTTED AT MONCLER’S STORE OPENING PARTY ARE SINGAPORE CELEBRITIES RUI EN, JESSECA LIU, NAT HO AND MORE! 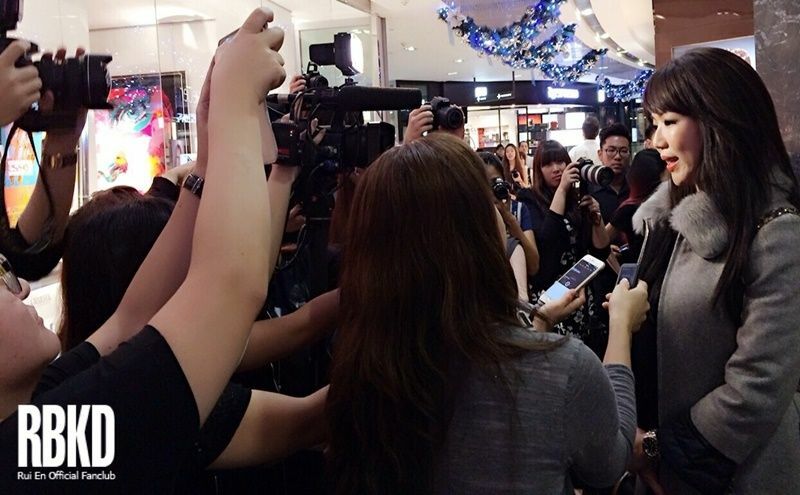 SPOTTED AT MONCLER’S STORE OPENING PARTY ARE SINGAPORE CELEBRITIES RUI EN, JESSECA LIU, NAT HO AND MORE! Categorised in 女友, CH, Fashion, Moncler. We round up some of our favourite photos of Rui En at Moncler’s Flagship Store Opening last night, posted by media and others. 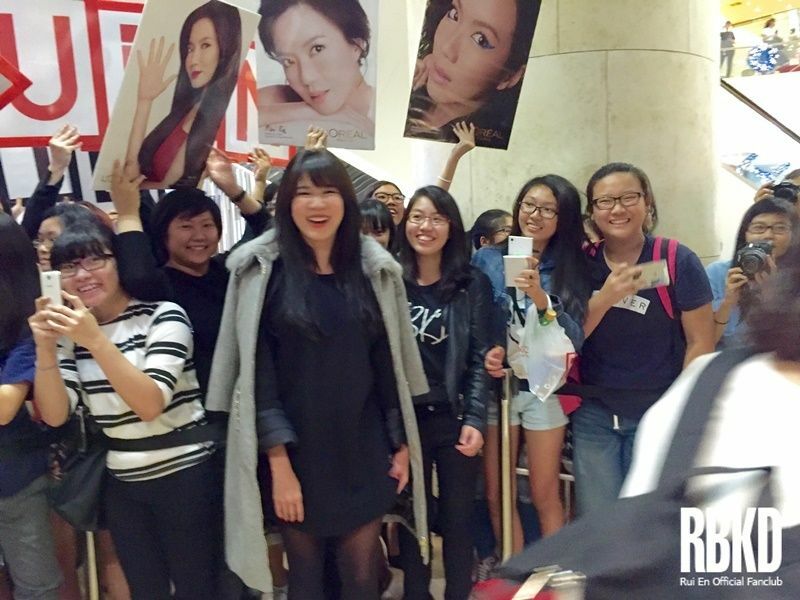 For RBKD’s exclusive photos of Rui En at the event, check back our website this weekend. First up, some solo shots! It’s time for party so bring in the group shots! These two fine ladies have acted opposite Rui En in Channel 8 dramas. Do you remember the titles? Rui En with the styleXstyle team. Here’s a behind the scene shot of Rui En and her styling team, pre-event. 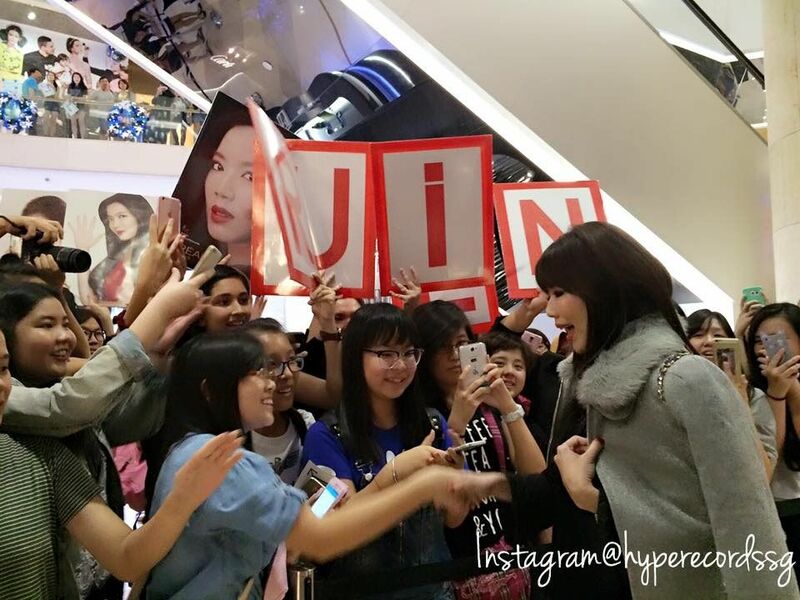 Last but not least, everyone loves Rui En. Here’s a collage to end the post. 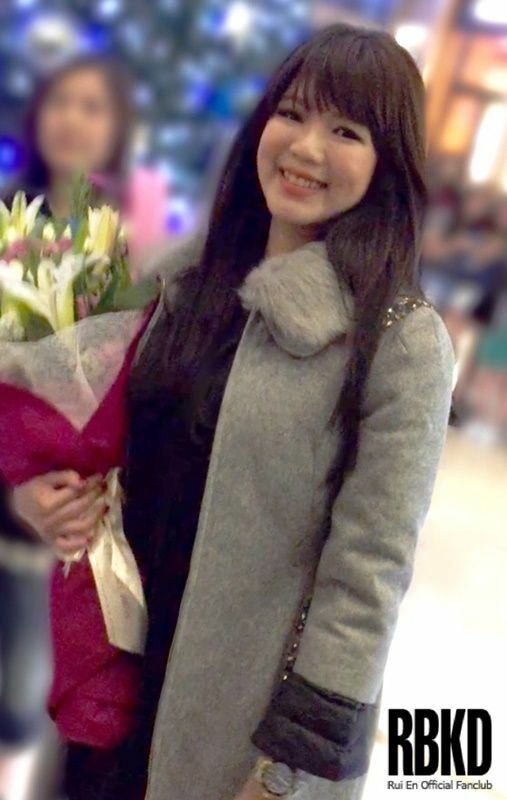 Do check back again this weekend for more exclusive shots of Rui En by RBKD’s photographers. 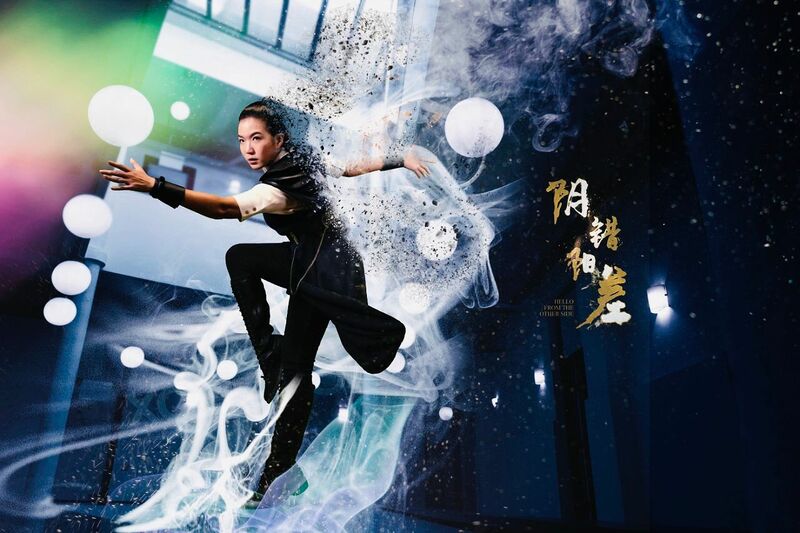 Categorised in 女友, EN, Facebook, Fashion, Hype Records, Instagram, L'OFFICIEL Singapore, Moncler, RBKD What We Are Loving, Social Media, styleXstyle, U-Weekly.